"Do you think I've got a problem with them?" you asked. Well I don’t think you need me to answer that do you? They just seemed to hold a great deal of appeal to you from a young age. And the habit stayed with you. Do you remember when you were going sailing with your friend's family in the US and I rang to remind you that it would be really inappropriate to wear them on the boat - just in case you were thinking about it. And you were. Then there was the time I came home to find a display of them everywhere as if it was some fancy new art exhibition. Then the other day you sent me a picture asking for my views on your outfit. You were wearing a black suit and these. Your suit said business and yet they screamed party! You just like them and there is absolutely nothing wrong with that. Just went out to buy flat flats. What did I come back with? 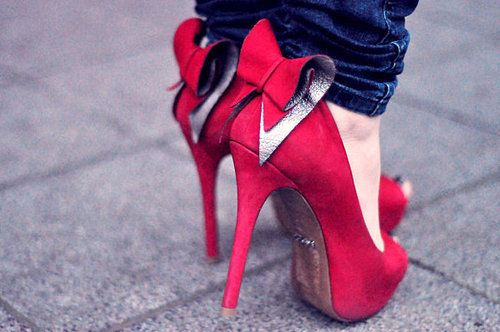 Pink heels. Fail. No, I don't think it's a problem. Just a Habit. 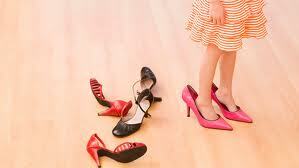 As Marilyn Monroe said, "Give a girl the right shoes and she can conquer the world." I think you are still just looking for the right pair of shoes. It's a great big world after all. Message from your Mother is a series of posts written by Lilly to her daughter since 2008. There is always a secret message if you look hard enough. I collect new blogs, art, earrings, tea cups and music. And speaking of music I have a giveaway for you. The latest 'real' music I absolutely adore is Margo Rey's latest CD, coincidentally called Habit. She has collaborated with the legendary John Oates (Hall & Oates) on this album. Have a listen. It's really good. Anyone who leaves a comment (or FB or twitter entry if prefer) has a chance to win Margo's new CD and a signed poster courtesy of Organica Music Group. The winner will be drawn at random and entries close on 13/10/2012. Truly, she is one habit you will not be sorry you got into. I have a bit of a thing for watches and have far too many. 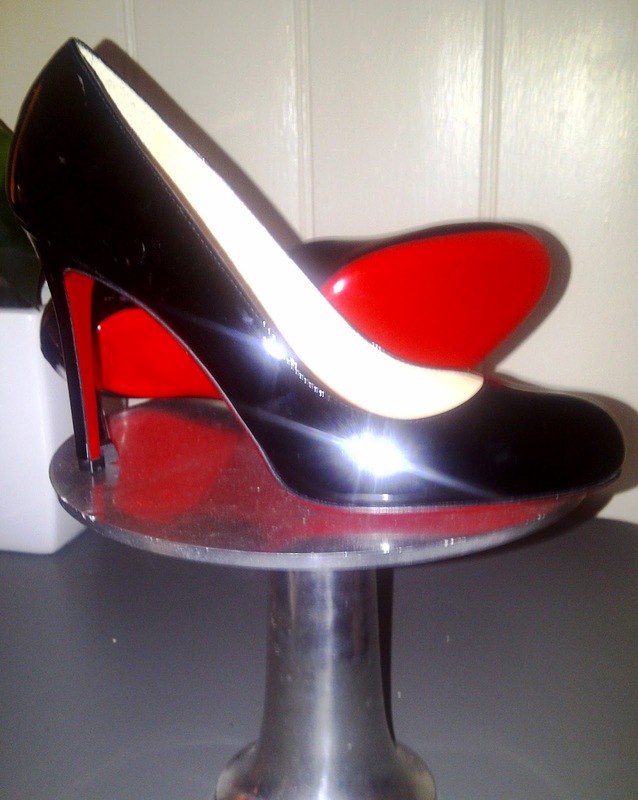 As for stilletos, I had to give them up finally and just save them for special occasions. Comfort eventually wins out. Margot sounds great. I have never heard of her in the UK yet. I would like to win her CD thank you Ms Lilly because my other half thinks he knows so much about music and he probably has never heard of her. Don't believe you for a minute. Every time I have ever seen you, you are wearing 10cm platforms, lol. But I do love to look at them. I know, there is nothing quite like them Betty. Kids never listen to parents. Lol, thats why I blog about what I think instead. Easier that way but there is always a hidden message in my posts if you look hard enough. What did you think of Margo though? I the wrong person to ask about heels. I'm too practical and think they might ruin your feet eventually. Yeah they probably do if you are not careful. Sesnibility kicks in eventually though (unfortunately). Oh Bill, I think she sounds a little country too but then I was born in the Country Capital of Australia ( where Keith Urban won his first talent show, lol). I really think she is great. Good luck with the giveaway, will use Random.org to draw the lucky person, who knows it could be yours! I betya the secret message is in the very last line of the post, no? Clever that it is, not about stilletos at all I reckon. I've never heard of Margo either, she is easy to listen to and has a great voice. You are right of course. She does, she does. Oh not sure how anyone walks in shoes that high.I have heard of Margo but think she must have been in a band or somethign was she at one time. Have to google to find out. Check her website, link above for details. Your daughter has Beautiful taste in shoes---Not a bad "vice" to have when you think of so many other possible addictions....! I collect so many things---the list is too long to put here...Among the many things: ART! Love this song....and the lady singing it. I am not familiar with her...Thanks for this lovely introduction, my dear Lilly. You not only collect but make the most beautiful art Naomi. I wish I lived closer so I could collect it too. I collect people I kid you not. I like shoes too and have far too many. As the previous commenter says there are wrose vices to have. Margo Rey, I like her. Thanks for letting me know about her. People collector, I like it, that's great. I love the song, I was intrigued as I'm a Hall and Oates fan. I'm a natural collector, before you know it I seem to have a collection of it, things I like not necessarily expensive. Thanks Christine, glad you liked it. I do too. Hockey sticks, love it. I love phrases on bangles too, just bought one the other day. And they work in terms of keeping you focussed, lol. I'm trying to stop. I really am! However... if it's the perfect mug... I just can't seem to help myself. High heels? I've never worn them because I can trip when I'm wearing flats AND holding on to a handrail. Klutz in my middle name. Kay Klutz, sort of rolls of the tongue, lol. Mmm coffee cups are great to collect. Clearly you still have not found the perfect mug yet. Those shoes are stunning and darling, and I can totally see why they were irresistable. it's one of the fun things about being young and getting to wear cute clothes. It is one of the fun things that is for sure. My mother and sister collect books too Jo Dee. Another one loves shoes and is my daughter's god mother so that's where it comes from, lol. So glad your new home is working out beautifully for you. I really like the music, really great voice. I collect electrical appliances. They are overunning my house! My email is Anna321@gmail.com you know for when I win the giveaway. Thanks Anna, appreciate your feedback. Margo is a breast cancer survivor so it is a positive thing to be promoting her music in the month of October, which is Breast Cancer Awareness month across the world. She is beautiful and classy. Thank you I did not know that Sally Anne. It is a good reminder for us all then. My great weakness is books and more books. Let me loose in a book shop and I am lost. My children gave me an e-reader, which I use, but I still love the look,feel and smell of the real thing. Last year I moved interstate and had to give up a large part of my collection. I was heartbroken. Never fear! The numbers are growing again. Now that I am living in a tropical climate and trying to establish a native garden I have taken up collecting plants as well. Hi Magee, looks like you and few other people love collecting books too jusding by the comments here. Native gardens are great and I am sure yours will be established in no time. Thanks for your comment. My Mom has a shoe thing too. She loves buying them. When I was younger, I could wear the same size as her, so I never had to buy shoes. I guess that habit stuck, because I don't like buying shoes at all. Crazy, I know. Aww thanks Aleta, I am glad you make earrings and don't buy shoes. I collect books. My bookshelves are double stacked and overflowing! A lot of bloggers are the same Merryl. A pastime that most of us enjoy. I used to collect a lot of things,that is until I got cancer. Now I have figured out that you don't need any of those things. So now I collect memories. I look at every minute of my life as a memory and I want to spend them all surrounded by friends and family.You don't know how precious life is until you think you are going to die. Margo we really enjoyed seeing you in Knoxville tonight.. Thank you Patricia. And such wise words. You are collecting memories. I wish you all the best creating new and special memories.